Although the “Kiesewetter” is listed in the Hill, Doring, and Goodkind books under the year 1731, the style of work and choice of maple for the back point more toward the year 1723. The “Kiesewetter” is a particularly fine-sounding concert instrument. The violin derives its name from the German violinist Christoph Gottfried Kiesewetter, who was born in 1777 and died in London in 1827. 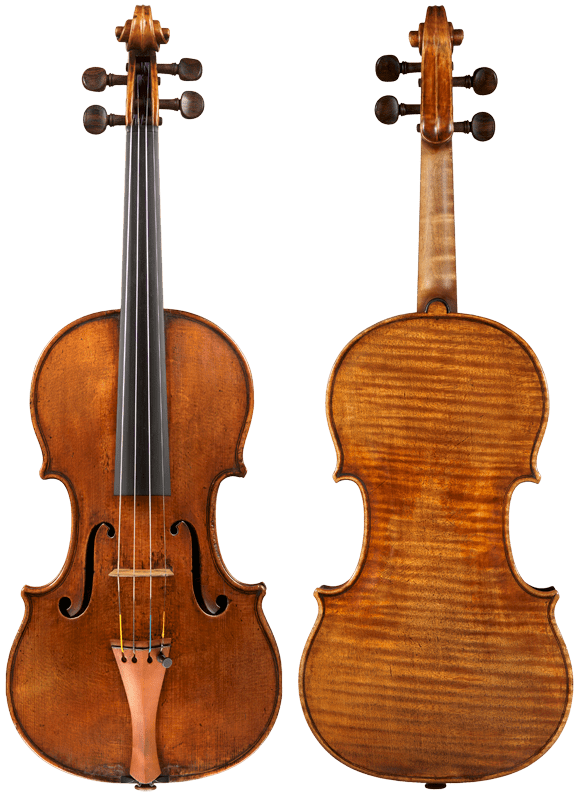 The violin was purchased from Kiesewetter by Sir Francis Goldschmidt and later passed to his daughter. Charles Fletcher, listed as the owner in the Hill Stradivari book in 1902, purchased the violin from Miss Goldschmidt’s estate about 1890. In 1906, George Hart sold the “Kiesewetter” to the important New York collector Henry O. Havemeyer, who also owned the “King Joseph” Guarneri del Gesù. The violin remained in the Havemeyer family, passing to Horace O. Havemeyer, who sold the instrument to Rembert Wurlitzer, Inc. in 1953. Rembert Wurlitzer, Inc. sold the violin to Dr. Jerome Gross of Cleveland, Ohio, an accomplished amateur violinist. Howard Gottlieb acquired the violin in 1972 and retained it until 1986 when it was sold by J. & A. Beare, Peter Biddulph, and Bein & Fushi to American industrialist and patron of the arts Clement Arrison of Buffalo, New York. Mr. Arrison originally acquired the instrument for use by the phenomenal young Russian violinist Maxim Vengerov in association with The Stradivari Society®. Rising star Philippe Quint has also been the recipient of this magnificent violin. Grammy-award-winning artist Augustin Hadelich is the current recipient. Today Mr. Arrison and his wife Karen have several outstanding violins on loan through the Society.